September this year marks the 100th anniversary of the first wireless transmission between Australia and the United Kingdom. Messages were transmitted from the Marconi station at Waunfawr in North Wales on the 22nd September 1918, and were received almost instantaneously at "Lucania" the Wahroonga home of Ernest Fisk, the Managing Director of Amalgamated Wireless (Australasia) Limited (A.W.A.). Two communications were sent by Morse code to Australia. The first message was from the Prime Minister of Australia, Mr. W.M. "Billy" Hughes, who was in the UK at the time, and the second from the Minister for the Navy, Mr. Joseph Cook who accompanied Hughes. Wireless was a very new phenomenon, and the experiment between Ernest Fisk and Guglielmo Marconi was a significant achievement in the early development of world-wide wireless communications. There was considerable public interest, and political controversy, as Hughes was using his wireless message to strengthen support for the war effort in Europe at a time when support in Australia was waning. The Marconi-Fisk achievement is commemorated by a monument located outside the original receiving site in Wahroonga, which is still a private residence. Every five years the Hornsby Amateur Radio Club (HADARC) and the Ku-ring-gai Historical Society have commemorated the event by the exchange of wireless messages with the Dragon Amateur Radio Club in Wales. This year, with additional support from Ku-ring-gai Municipal Council, they are planning a major centenary celebration. A re-enactment of the original message will occur adjacent to the Wahroonga monument, followed by displays in the St Andrew's church hall, some 50 metres away in Cleveland street, which will include a working HF amateur radio station operating under the special call sign VK100MARCONI. 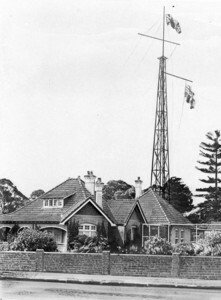 The Dragon Radio Club will also be operating an HF station from the Welsh site of the Marconi transmitter using the special event amateur call sign GB2VK, and it is proposed that Fiskville, located in Victoria and named after Ernest Fisk (where early transmitters were located), will be activated from Werribee Gorge State Park (VKFF-0775). The centenary event provides an opportunity to showcase amateur radio, both to the public and to higher levels of government, and it is also very significant for the descendants of the Cable and Wireless company and the Overseas Telecommunications Commission (OTC), AWA, Siemens, and the entire radiocommunications community. It is expected to be well attended by politicians, councillors and school children from around the region, and anyone interested in the history of communications. As part of the Centenary celebrations, the WIA will hold an on-air event over the entire month of September. This event will be very similar to the ANZAC commemorative event, where State and Territory based special event call signs will be allocated to any club or individual for a short period of time. The WIA has secured the call signs VI#MARCONI for participating States and Territories, and those call signs will be made available to WIA affiliated clubs and WIA members on a time-share basis for a maximum of 48 hours, (this period may be altered depending on the demand). The event timetable and details about the VI#MARCONI call sign application and allocation process will be posted on the WIA website. Registration for a MARCONI special event call signs is expected to commence early in July. QSL cards will be issued for contacts with special event MARCONI stations, and WIA awards will be available. 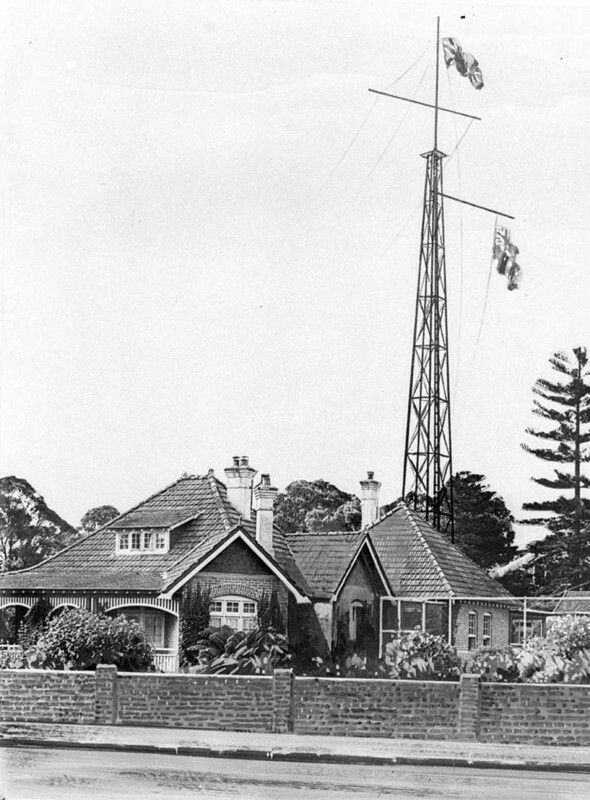 Image sourced from the State Library of NSW and shows the Wahroonga Residence with radio masts.